Get FREE shipping on ANY order TODAY ONLY (July 27) with code 727FSD at Avon.ca! Missed the free shipping on July 27? You can still get free shipping if you purchase $35 or more using coupon code AVON35! 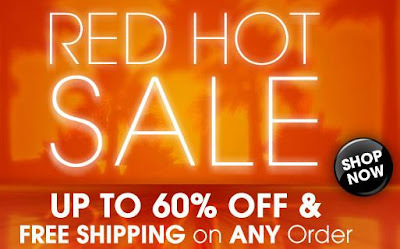 Avon has a huge summer sale on, with up to 60% off - prices start from $0.79! Do you know a hockey fan with a newborn? Check out this NHL Mesh Cover for infant carseats, on sale now for $19.99. Keep those half-eaten bananas by baby fresh with this Chefables Nana Saver - only $3.99! With the free shipping today, that's a real deal! 0 Response to "Avon.ca Free Shipping on any order TODAY ONLY"